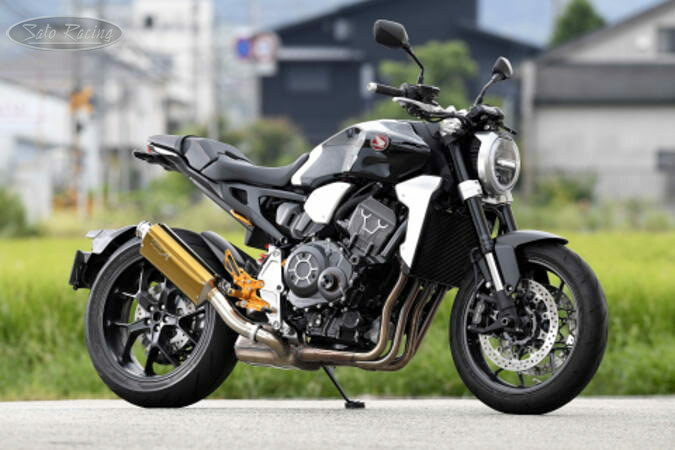 SATO RACING Rear Sets for 2018-19 Honda CB1000R features a track-engineered design with all parts precision CNC-machined from high strength billet aluminum. 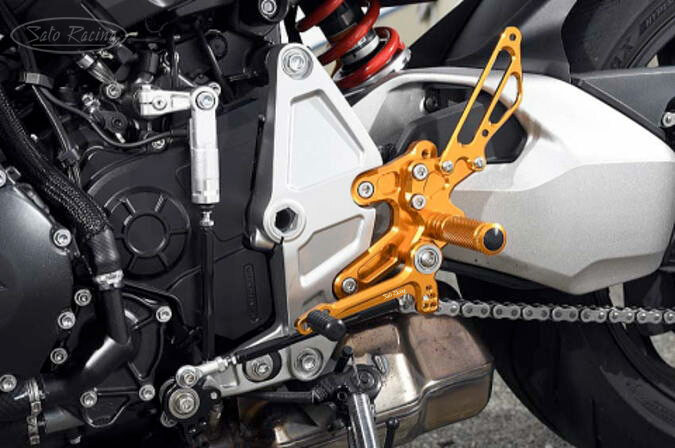 Modular design lets you select from multiple adjustable foot peg positions in a useful range for the street or track. Features a multi-link shift linkage that can be set up for either stock or reverse shift pattern. 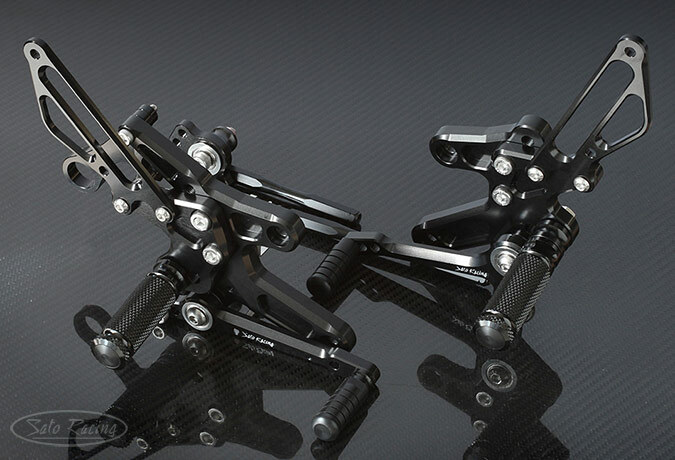 Choice of Black, Silver or Gold anodized finish. 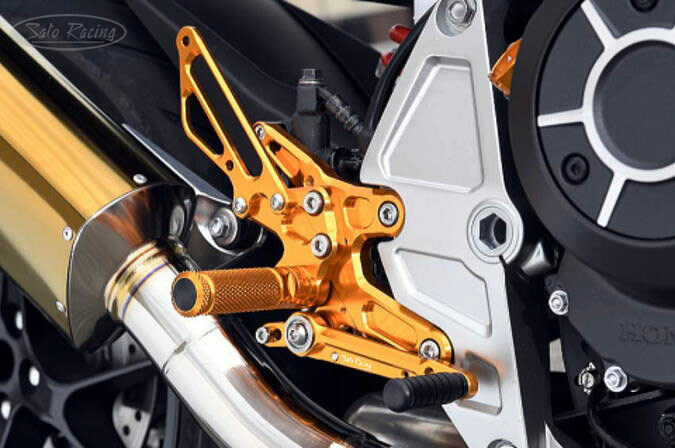 Rear Sets kit includes a Black-anodized hanger bracket for the exhaust canister. You can switch to GP-style reverse shift pattern by moving the shift rod to the opposite positions on the shift link. The Shift link is optimized for use with the shifter switch. Double stainless bearings are utilized in the shift link and brake pedal for smooth, precise movement with a solid, high quality feel.